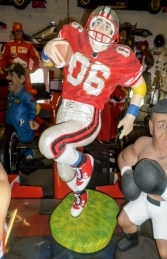 This fantastic figure of an American Footballer in action is superb to use in any American themed area. 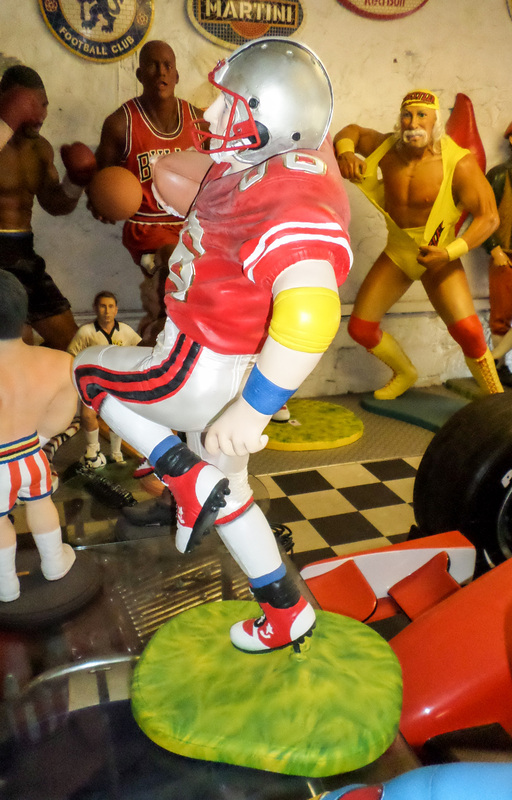 This smaller model is always a great hit with the public. This life-size cold-cast poly-resin and fibre-glass 3D model of an American Football Player is ideal for American sports themed displays. These sporting figures make a huge impact at a themed party or event and will always have lots of people wanting their pictures taken with the models. 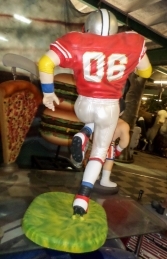 Our Sports Series figures can be used in American or Sport themed shops, businesses, pubs, restaurants, coffee shops, adventure golf courses, theme-parks etc. the list is endless!